This series of club confined time trials and APR races is held throughout the season. The Trophy is awarded at our annual prize giving. Our annual hillclimb takes place every October at Culit Brae, near Srathblane. The hill climb is only open to club members, and previous winners include ex-professional cyclist and club president Billy Bilsland. The current champion is Neil Griffiths. 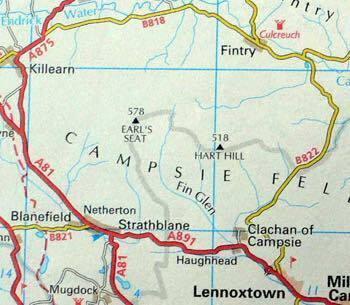 A well-established fixture of cycling in the West of Scotland that begins in Lennoxtown. This year the hilly time trial takes place on Sunday 10th September and entry is via British Cycling. For the latest information, please check the Facebook event.